templates to guide and record the induction process. Who is the volunteer induction toolkit for? This toolkit has been provided to aid new volunteers in their induction process. The induction process is most likely to be carried out and supported by existing volunteers or youth workers in youth clubs and groups. The volunteer induction materials are practical, flexible and easy to use. You can use the whole programme to provide a comprehensive induction process for new volunteers, or you can dip into the topics by selecting the ones that you want to focus on. You can also use the individual topics to support refresher training for existing volunteers. 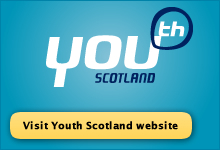 The getting to know the youth group and topic sections (link) have been developed to provide guidance to those organising an induction process for volunteers. They can also be printed off and given to new volunteers as handouts. Learning outcomes are the statements that specify what learners will know, understand or be able to do as a result of learning activity. At the end of each topic there are a set of learning outcomes to show what volunteers will learn from the materials in that section. This section includes all the templates and documents referred to throughout the volunteer induction toolkit.